Tanzeela Ahmad is an Associate in the Washington, D.C. Region office of Jackson Lewis P.C. Her practice focuses on advising employers on all aspects of workplace law, including providing preventive advice and counseling. Ms. Ahmad provides practical, business-oriented advice and counseling to corporate clients regarding complex employment law issues under state and federal law, including managing leaves of absence, complying with the Americans with Disabilities Act, and conducting sexual harassment investigations. 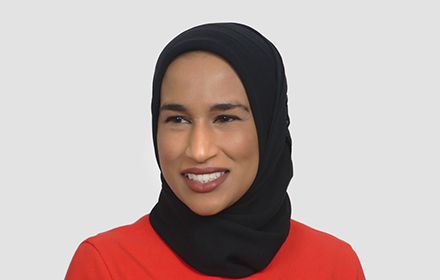 Ms. Ahmad also represents management in civil litigation and administrative proceedings around the country arising under Title VII, the Age Discrimination in Employment Act, the Fair Labor Standards Act, and corresponding state statutes. Ms. Ahmad’s clients include healthcare providers, government contractors, and retailers, as well as non-profit organizations. While attending law school, Ms. Ahmad interned for a District Judge of the United States District Court for the District of Maryland, as well as for the Civil Frauds Section of the United States Department of Justice and the Office of House Employment Counsel for the United States House of Representatives.